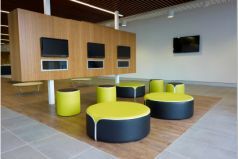 Kubis used a range of seating and tables for this project at the Prince of Wales Hospital in Randwick Sydney. The Eeni, Meeni, Myni, Mo family designed by Mathew Sheargold, the Amelia family by Keith Melbourne, the Oliver lounge by Norman and Quaine,our Compass table and Ottomans were used on levels 7, 8 and 9. 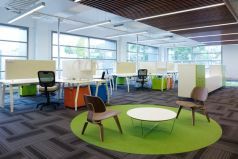 Kubis used a mixture of International and local furniture designers to complete this project. 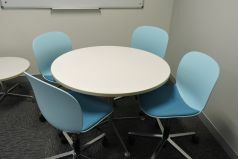 With the use of the RBM Noor 6060 chairs and Noor Up 6090 bar stools in the breakout area, the RBM Noor 6070S in the beautiful sky blue shell with upholstered seat in quiet rooms and telephone rooms, the majestic Pablo chairs in reception accompanied by the Spinal coffee tables by Paustian.Boomerang flip tables and Apollo tables where also used in conference areas and meeting rooms. 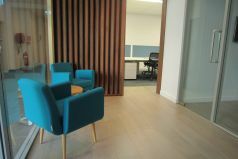 For the Ocean Financial Services office Kubis used a mixture of both Local and International furniture. 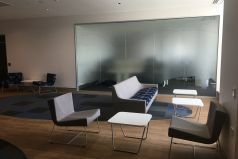 The reception area contains two of our Mo chairs and also the Archie coffee table with a white powder coated frame and an American Oak timber table top with a hard wax finish. 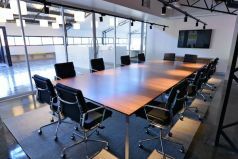 The Meeting room has the Diamond table and the four leg tubular Pop chairs. 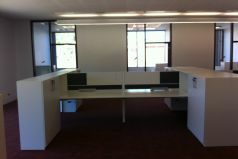 The work area has Diamond workstations with Kubis's Noe task chairs. 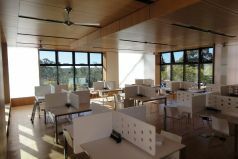 Designed by DEM the new state of the art facility for Cerebral Palsy Alliance was centered on the vision of “creating an environment to build confidence and self esteem, balanced with spaces to stimulate the imagination and encourage the development of social skills”. 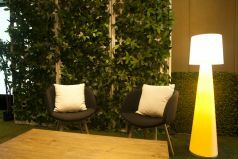 Sinetica Diamond was selected for MediaBrands to provide additional space for the expansion of the business and to achieve a flexible, contemporary and innovative environment that supports and enhances current business.